Majid Al Suleimany. A Cry For help Book! 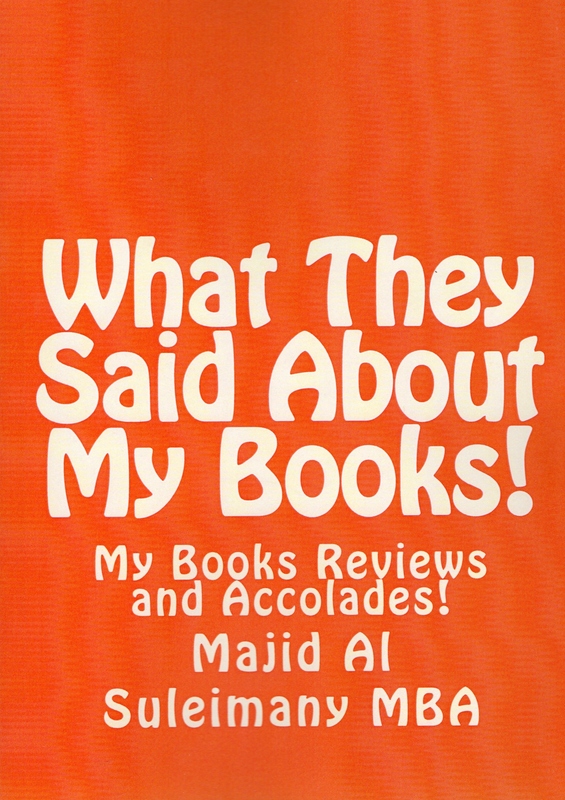 Psychology of Arab Management Thinking book « www.majidall.com – Being who you are and saying what you really feel! A LAST Cry For Help!, A Personal Message to His Majesty!, A Personal Note & Message, A Personal Story!, About Life's Teachings!, All About Me!, An Open Letter, Banks and Loans, Be Kind and Merciful Compassionate To Those Under Loans Hardships!, Complex and Difficult Topics, Consideration and Compassion!, Deep Self Analysis and Conscience Topics, Difficult Topic, Doing good things in Life!, Dua For Debts!, Fear of Failure!, From My Heart!, Games That Financial Institutions (Banks) Play on The Customers!, Handling Issues in Life!, In State of Mental Depression, Letter To The Press, Majid Al Sulaimani, Majid Al Suleimany, Me So Sad!, Mental Breakdown, Message To The Leadership!, My Bibliography!, My Contributions to The Nation!, Need for Kindness, Pensioners / Retirees, People and Change!, People have short memories!, People WILL NEVER change, Please Help Them!, Pressures on the Citizens and Residents!, Religious Article, Remember Others in Life!, Retirees / Pensioners – The Worst Hit Lot in the Economy Now!, Still Looking For My Haqq Rights and Justice!, Still That Is The Way It Is!, That Is The Way It Is!, The Art of Forgiving!, The Case for The Retirees and Pensioners!, The Story of My Life!, This can happen to you! 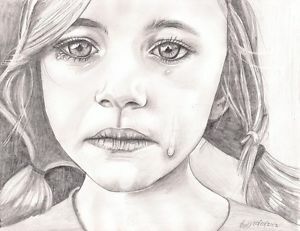 When You Do Not Help Someone in Need!, This is Goodbye!, UAE edges closer to Bankruptcy Law!, When People Cannot Express On Their True Inner Feelings!, Why I am so sad! 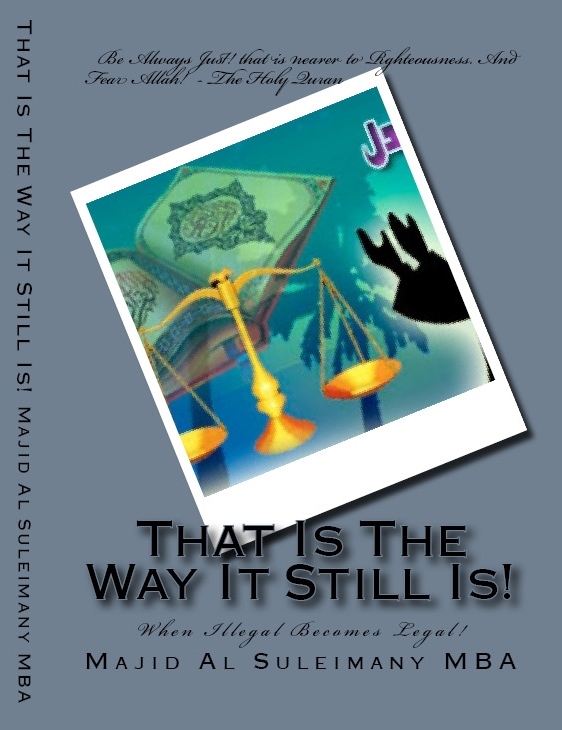 • Tags: A Personal Note!, Being Just In Life!, Injustice To Me, Injustices in Islam!, Majid Al Suleimany, Majid Al Suleimany. A Cry For help Book! Psychology of Arab Management Thinking book, My Haqq, Oman, Password Protected, People WILL NEVER change, Still Looking For My Haqq Rights and Justice!, Sultanate of Oman, What goes around; comes around! A LAST Cry For Help!, A Personal Message to His Majesty!, A Personal Note & Message, A Personal Story!, All About Me!, An Open Letter, Banks and Loans, Be Kind and Merciful Compassionate To Those Under Loans Hardships!, Complex and Difficult Topics, Consideration and Compassion!, Deep Self Analysis and Conscience Topics, Difficult Topic, Dua For Debts!, From My Heart!, Games That Financial Institutions (Banks) Play on The Customers!, Handling Issues in Life!, His Majesty Sultan Qaboos bin Said, Justice in Islam, Karma, Karma – No Need for Revenge for Now!, Majid Al Sulaimani, Me So Sad!, Message To The Leadership!, My Contributions to The Nation!, Need for Kindness, No Civil Status!, Oman, Oman National Day, Pensioners / Retirees, People and Change!, People have short memories!, People WILL NEVER change, Please Help Them!, Pressures on the Citizens and Residents!, Religious Article, Retirees / Pensioners – The Worst Hit Lot in the Economy Now!, Still Looking For My Haqq Rights and Justice!, That Is The Way It Is!, The Case for The Retirees and Pensioners!, The Nation, The Story of My Life!, The Tests of Faith (Imaan)!, This can happen to you! When You Do Not Help Someone in Need!, UAE edges closer to Bankruptcy Law!, When People Cannot Express On Their True Inner Feelings!, Why I am so sad! 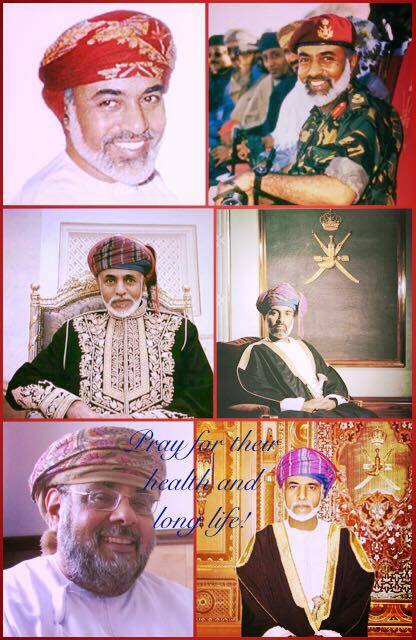 • Tags: A Personal Message!, A Personal Note!, His Majesty Sultan Qaboos bin Said, Majid Al Suleimany, Majid Al Suleimany. A Cry For help Book! 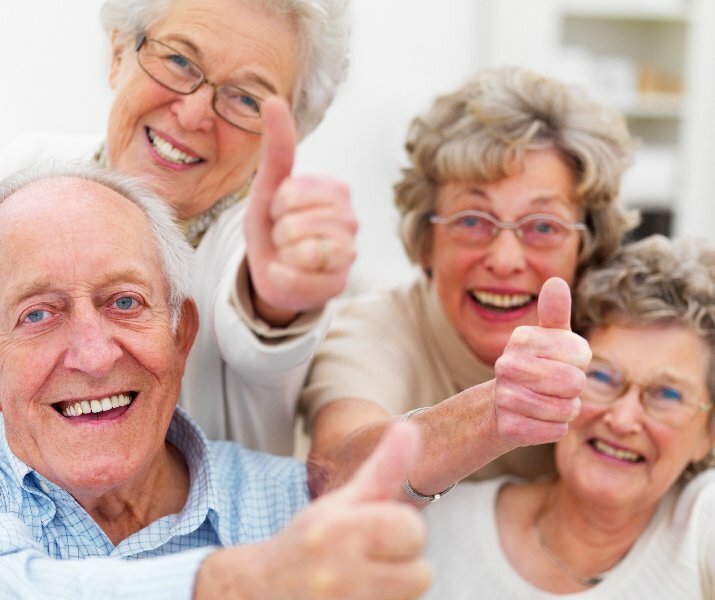 Psychology of Arab Management Thinking book, Omani Pensioners and Retirees, People WILL NEVER change, Please Help Me!, Pressures on the Citizens and Retirees!, Retirees / Pensioners – The Worst Hit Lot in the Economy Now!, The Case For Retirees and Pensioners! Putting Pressures on The Citizens and Residents! 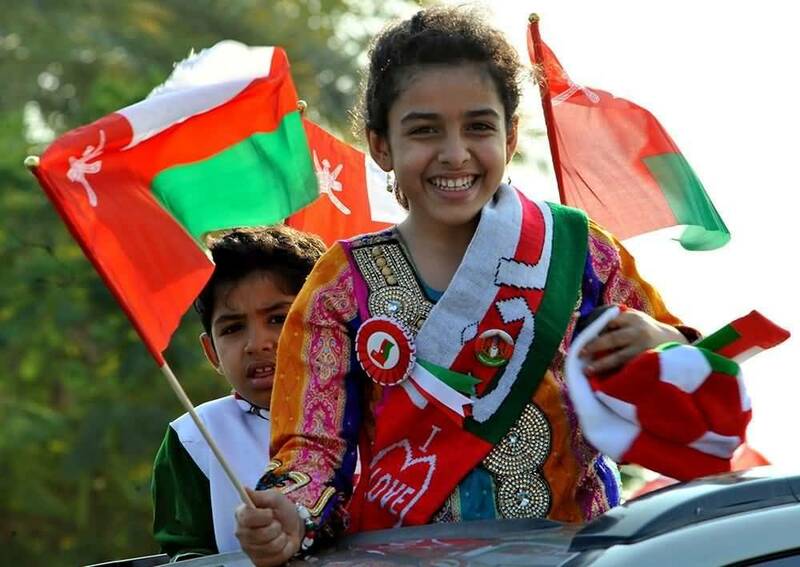 From An Omani Retiree Pensioner! Please Read this with the below! On April 6th 2017 it will be one year exactly when my Yukon GMC MW 3256 was denied for The Mulkiya Vehicle Registration to be renewed! The vehicle is parked outside my Villa and every 2 to 3 days I charge the car so that the battery does not die! When the vehicle will be allowed to be renewed I will end paying fines for delay as if it was my mistake not to renew! And if I stop paying the PDCs Post Dated Cheques for the vehicle another case will be raised – even if I am not allowed to use it even though I am sick and will need the vehicle to go for Emergency to Royal Hospital! All because of a Court Case I wrote here several postings including pleas for help! My Consultancy died 16 years ago – and to date still being traumatised and pursued! I wrote here all about this too! 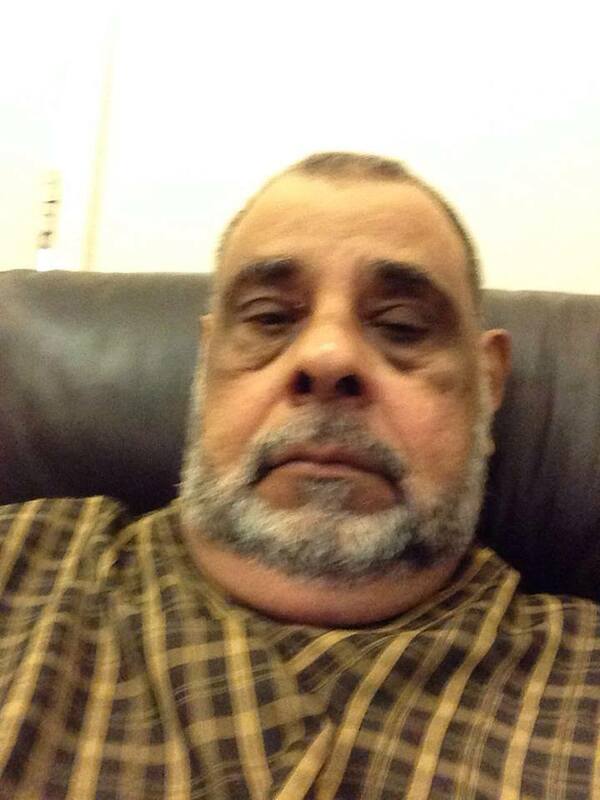 I am a Sick person Omani Retiree and Pensioner. The Central Bank knows all about my Pension Salary and how much is left if any in my account. I do not have a secret account abroad – that too CBO know too well. All my books except first 5 are Self Published. There is no money in books. Family Bookshop who were my last Book Sellers can confirm this. I can show anyone who wishes my Books Sales Accounts if one wishes. Today a Book Exhibition was at Oman Exhibition – and my books are not represented as Family Bookshop are initially out of business. Turtles closed down in Oman. They were my other Agent. The New Bookshop Al Bhaj refused to stock my books. People think I have hidden money because of the books! The Real Truth is very far from this! I am a decent nice person who sacrificed and have given a lot to my country in Youth Recruitment Training Development Omanisation etc in my career and even in my defunct Consultancy. 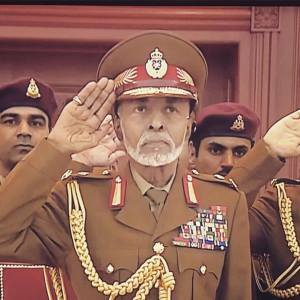 We recruited so many Omanis for others – and records are there to prove it! Some HE HH were my students. I looked after them ver well beyond the call of duty. I am also a sick ailing person suffering from Prostate Diabetic Eyes Problems Depression Mental Stress etc. If there is a decent caring person in The Leadership here or ADcs or Advisors please let our HM know. I even appealed to him here! What is wanted? For a good person to go bad – or harm himself – and then everyone will ask what had happened? We see around us how small things have led to disasters decay malaise and havoc! Are we not concerned or worried? 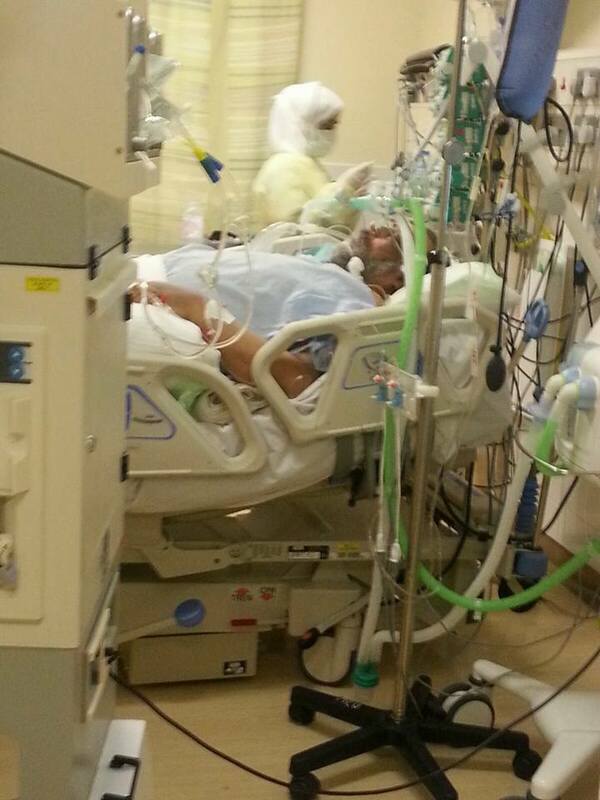 This is me in ICU Royal Hospital! Allah is Never Merciful to one who is not Merciful to his fellow human being! And we should worry about losing blessings and Barkah when people are discontented and unhappy! Let alone on Punishment on Earth – in Our Graves and before Allah SWT Lord Almighty on The Day of Reckoning! Plus the Islamic Law on being Bankrupted infront of Allah SWT tomorrow on Day of Reckoning! As everyone is responsible for one’s action – inaction – and inadvertently! What goes around; comes around! May Allah SWT Protect us from His Anger Wrath and Fury Amin. Below just to remind what His Majesty had said to the People of Oman in Ascession Speech! May Allah SWT Give him long life and health Amin Ya Raab! I PROMISE you to proceed forthwith in the process of creating a modern government. My first act will be the immediate abolition of all the unnecessary restrictions on your lives and activities. 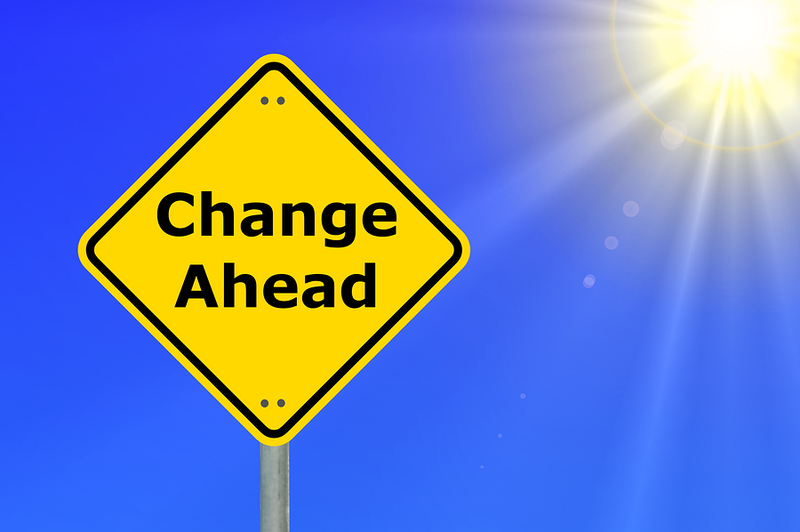 I will proceed as quickly as possible to transform your life into a prosperous one with a bright future. Every one of you must play his part towards this goal. Out country in the past was famous and strong. If we work in unity and co-operation, we will regenerate that glorious past and we will take a respectable place in the world. I call upon you to continue living as usual. 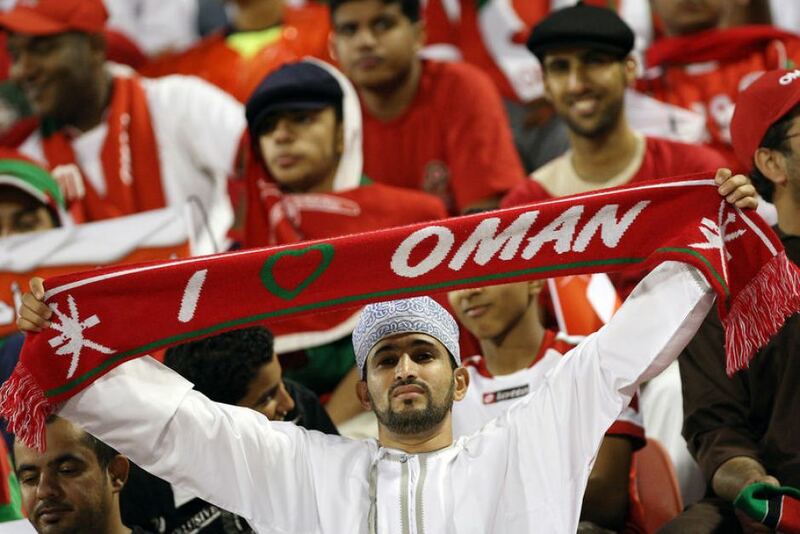 I will be arriving in Muscat in the coming few days and then I will let you know of my future plans. I and my new government will work to achieve our general objective. Yesterday it was complete darkness and with the help of God, tomorrow will be a new dawn on Muscat, Oman and its people. 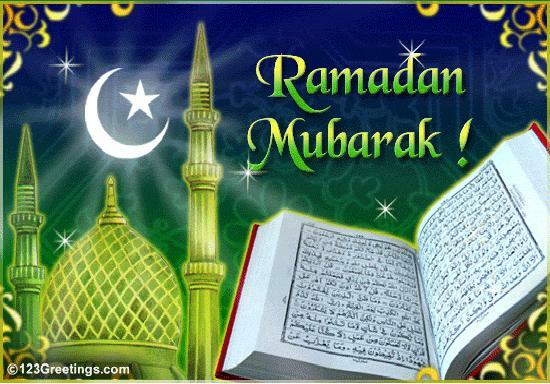 God bless us all, and may He grant our efforts success. A Farewell Note!, A LAST Cry For Help!, A Personal Note & Message, A Personal Story!, About Life's Teachings!, About My Books!, About Oman, All About Me!, An Open Letter, Articles by Majid Al Suleimany, Banks and Loans, Be Kind and Merciful Compassionate To Those Under Loans Hardships!, Books Reviews & Press Release, Changes, Complex and Difficult Topics, Consideration and Compassion!, Deep Self Analysis and Conscience Topics, Difficult Topic, Doing good things in Life!, Dua For Debts!, From My Heart!, His Majesty Sultan Qaboos bin Said, HM Sultan Qaboos bin Said, Justice in Islam, Karma, Karma – No Need for Revenge for Now!, Majid Al Sulaimani, Me So Sad!, Message To The Leadership!, No Civil Status!, Oman, Pensioners / Retirees, People and Change!, People WILL NEVER change, Please Help Them!, Religious Article, Remember Others in Life!, Retirees / Pensioners – The Worst Hit Lot in the Economy Now!, That Is The Way It Is!, The Nation, The New Book 55th - That Is The Way It Still Is!, UAE edges closer to Bankruptcy Law!, When People Cannot Express On Their True Inner Feelings!, Why I am so sad! 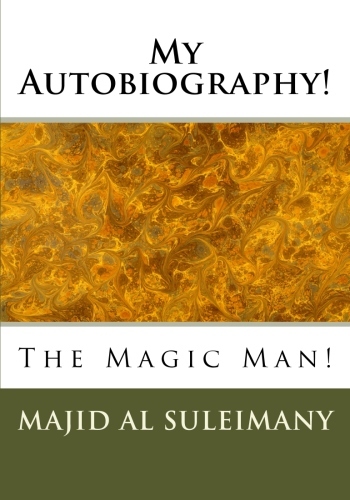 • Tags: A Personal Message!, A Personal Note!, All About Majid Al Suleimany, Majid Al Suleimany, Majid Al Suleimany. A Cry For help Book! Psychology of Arab Management Thinking book, People WILL NEVER change, That Is The Way It Is!, What goes around; comes around! 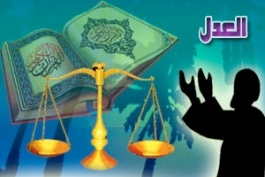 201 (Justice in Islam)!201 We made his kingdom strong and gave him Al-Hikmah (Prophethood, etc.) 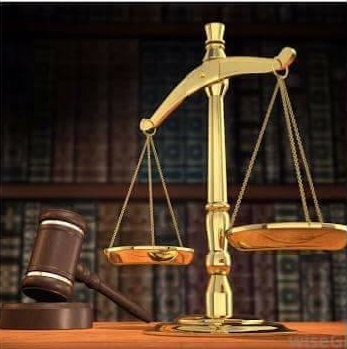 and sound judgement in speech and decision.And has the news of the litigants reached you? When they climbed over the wall into (his) Mihrab (a praying place or a private room,). 204 [Dawud (David)] said (immediately without listening to the opponent): “He has wronged you in demanding your ewe in addition to his ewes. And, verily, many partners oppress one another, except those who believe and do righteous good deeds, and they are few.” And Dawud (David) guessed that We have tried him and he sought Forgiveness of his Lord, and he fell down prostrate and turned (to Allah) in repentance. 205 So We forgave him that, and verily, for him is a near access to Us, and a good place of (final) return (Paradise). 206 O Dawud (David)! Verily! We have placed you as a successor on earth, so judge you between men in truth (and justice) and follow not your desire for it will mislead you from the Path of Allah. Verily! 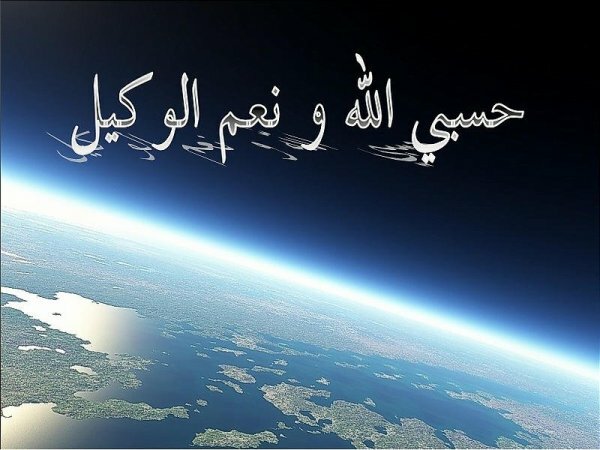 Those who wander astray from the Path of Allah (shall) have a severe torment, because they forgot the Day of Reckoning. A LAST Cry For Help!, A Personal Note & Message, A Personal Story!, About Life's Teachings!, About My Books!, About Oman, All About Me!, An Open Letter, Articles by Majid Al Suleimany, Banks and Loans, Be Kind and Merciful Compassionate To Those Under Loans Hardships!, Changes, Complex and Difficult Topics, Connection To My Books, Consideration and Compassion!, Deep Self Analysis and Conscience Topics, Difficult Topic, Games That Financial Institutions (Banks) Play on The Customers!, Karma, Karma – No Need for Revenge for Now!, Ma Salaamah!, Me So Sad!, Message To The Leadership!, My Epitaph!, My Last Input, Pensioners / Retirees, People and Change!, People WILL NEVER change, Please Help Them!, Religious Article, Remember Others in Life!, Retirees / Pensioners – The Worst Hit Lot in the Economy Now!, Road Safety Article, The Case for The Retirees and Pensioners!, The Nation, The Oman Daily Observer Columns, The Story of My Life!, The Tests of Faith (Imaan)!, Things Fall Apart!, This is Good Bye!, UAE edges closer to Bankruptcy Law!, Why I am so sad! • Tags: Bankruptcy, Between Us Only!, Companies, Compassion, Consideration, Consultancy, Faith, Imaan, Justice, Kindness, Majid Al Suleimany, Majid Al Suleimany. A Cry For help Book! Psychology of Arab Management Thinking book, Mercy, No Rahmah!, Oman, Omani Authors, Patience, People WILL NEVER change, Rahmah!, Religion, Taqwa, The Oman Daily Observer, The Tests of Faith (Imaan)! The Tests of Faith (Imaan)! There is No Rahmah – Imaan – Patience – Mercy – Kindness – Compassion and Consideration) in Life! After I had my Operation for Prostate (luckily not malign) and in being more than a month in Coma State in ICU Acute Medicine Royal Hospital December 2015 to January 2016 – I found myself invalid and what hurt and pained me more to realise that I cannot walk anymore – as an invalid – and hurt me a lot more as an adult as to wear pampers – like a baby again!. But I took it in stride as Allah tests on me for something like not to be able to pass urine ended me to be like this! Al Hamdu Lillah. I was getting better could now walk and go to the Toilet on my own then this happened! Facing an Omani Court of my own country with the International bank locally wanting money from me for my Consultancy that had closed and had gone bankrupted 15 years ago! 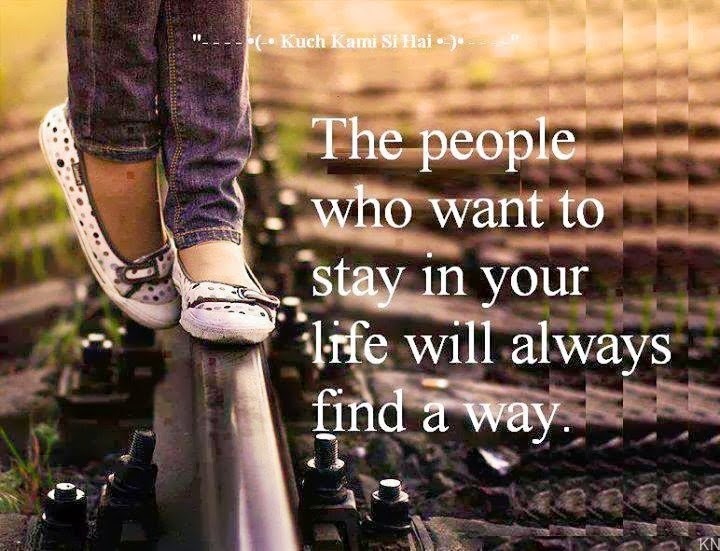 But still being pursued! 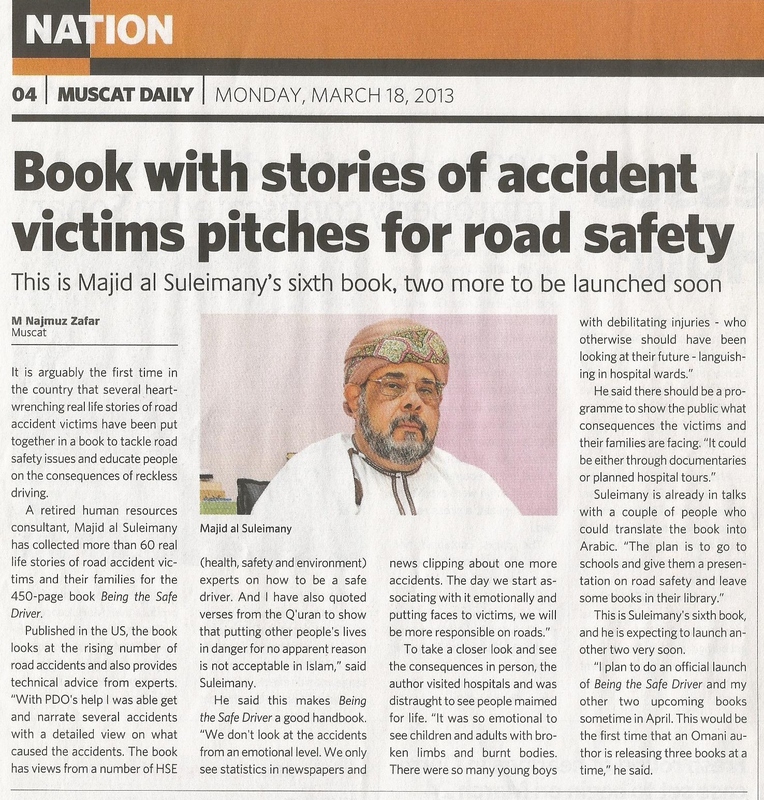 As an Omani – I wrote books on Road Safety – http://www.bethesafedriver.com – with a Safety Website – and my books – http://www.mymasbooks.com – but now I cannot drive my GMC Yukon as they had refused to renew the Registration Mulkiya! Though I can now walk ok and go on my own to the Toilet but I am otherwise not mobile nor can drive! I accept this too as a Test for me from Allah SWT as even The Prophets RA SAW were tested in life in time! 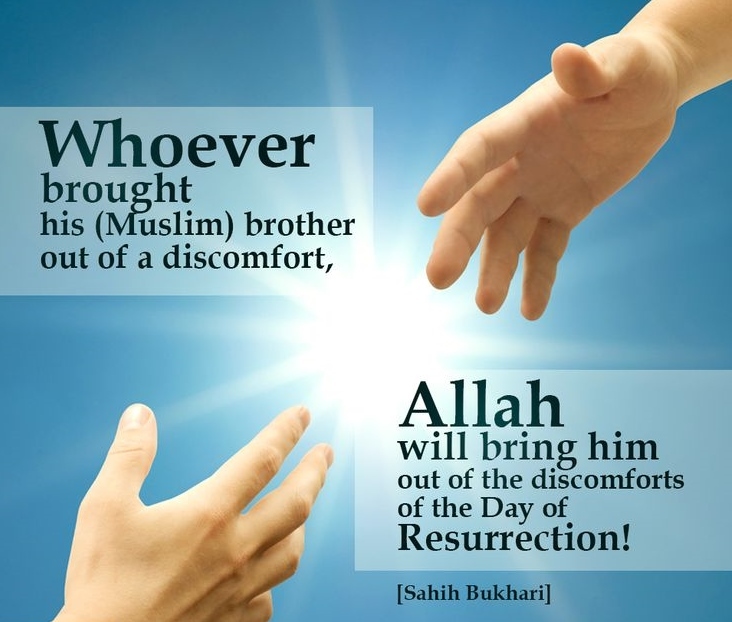 From Allah SWT God we come and to Him we all will return. Allah God Is Never Merciful to one who is not to his fellow human being and with the punishment on earth for us all The Grave and The Day of Judgement Reckoning! Every one of us are responsible for our actions inactions and even inadvertently for that matter! Allah Guide us all to The Right Path and Way before it is too late for us all! ALLAH AKBAR! GOD IS GREAT! GOD IS MERCIFUL – If not human beings! 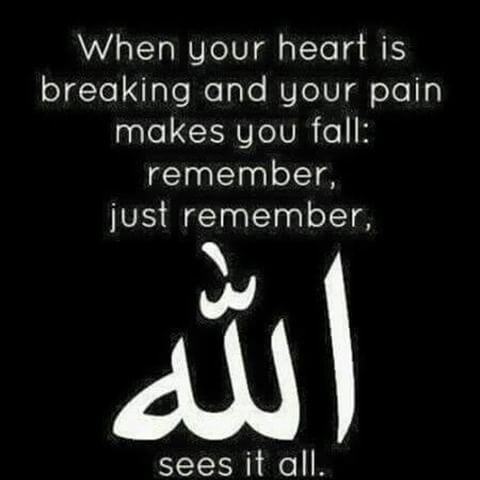 If you cannot get mercy here in life – you will get it with Allah SWT God Ameen Amen! 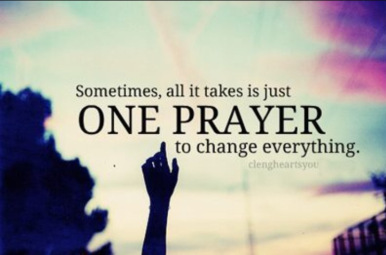 PLEASE PRAY FOR ME IN YOUR PRAYERS AND DUAS! 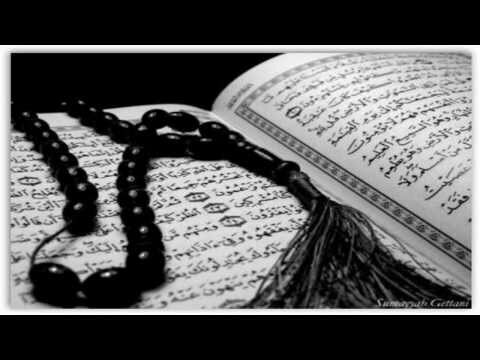 A LAST Cry For Help!, A Personal Note & Message, A Personal Story!, About Life's Teachings!, All About Me!, Dua For Debts! • Tags: Dua For Debts!, Live TV Question on Huda TV!, Majid Al Suleimany, Majid Al Suleimany. A Cry For help Book! Psychology of Arab Management Thinking book, Sultanate of Oman, What goes around; comes around! Live Question on Huda TV on Being in Debt! Even if they are related to my Company closing down in bankruptcy 15 years ago and still being hunted and pursued with Support from The System! The Imam Dr. Mohamed Salah asked me if in Oman there are no Organisations NGOs etc. that help out to people in Debt like mine with no capacity to pay back… and if I can go to them? Anyway he said he will pray for me last 10 days of The Holy Month of Ramadhan and he asked Listeners to do the same for me! 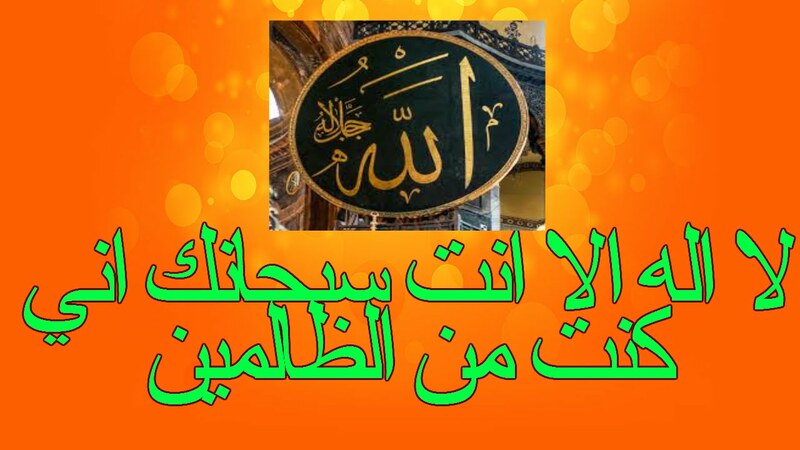 Al Hamdu Lillah! See previous Postings also. boon/favour make me independent from others”. huge mountain then Allah will pay it”. 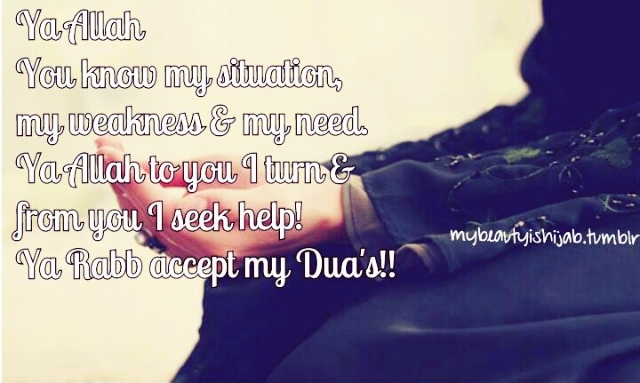 Ali (R.A.) then recited the above Dua. Mohammad (SAW.) that he was concerned about his major debts. 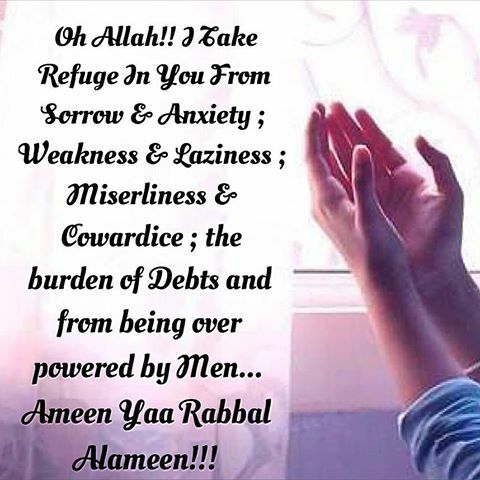 and I seek refuge in You from overwhelming debt and from the force of men”. The person stated that he recited this dua and Allah removed all his worries and debts. 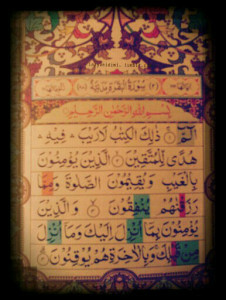 to my sins, hence forgive me since there is no one else to forgive sins besides You”. A LAST Cry For Help!, A Personal Note & Message, A Personal Story!, About Life's Teachings!, About My Books!, All About Me!, An Open Letter, Complex and Difficult Topics, Consideration and Compassion!, Deep Self Analysis and Conscience Topics, Difficult Topic, From My Heart!, Good Article, Justice in Islam, Letter To The Press, Me So Sad!, Message To The Leadership!, My Epitaph!, My Last Input, My Orbituary!, Need for Kindness, Orbituary!, Pensioners / Retirees, Please Help Them!, Religious Article, Remember Others in Life!, Retirees / Pensioners – The Worst Hit Lot in the Economy Now!, The Case for The Retirees and Pensioners!, The Nation, The Story of My Life!, This is Goodbye!, UAE edges closer to Bankruptcy Law!, Why I am so sad! 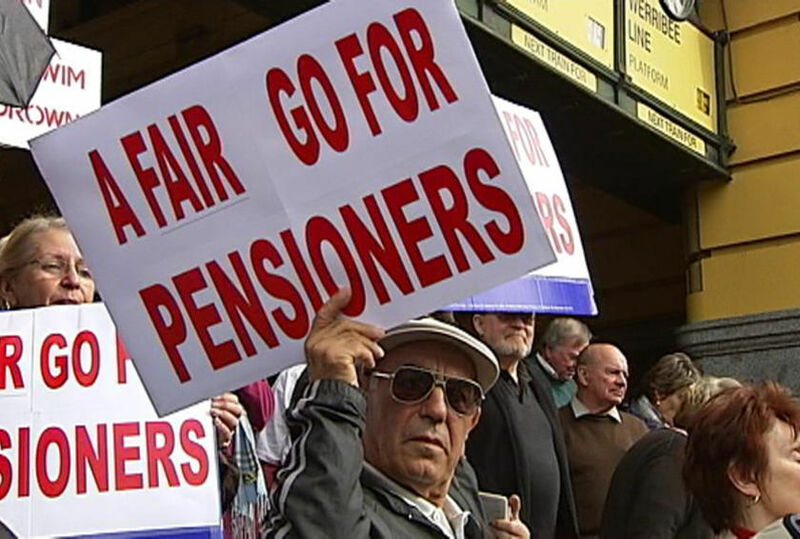 • Tags: Be fair to Retirees Pensioners, Difficulties Hardships Pensioners Retirees, Majid Al Suleimany, Majid Al Suleimany. A Cry For help Book! Psychology of Arab Management Thinking book, People WILL NEVER change, Retirees / Pensioners – The Worst Hit Lot in the Economy Now!, The Case For Retirees and Pensioners!, What goes around; comes around! Be Merciful For Allah to be Merciful to You! I Know You Do Not Care – But Still Will Say It! Today is exactly 16 years ago that my Management Consultancy went bankrupt and I lost all my Pension Payments and Life Savings! Today 16 years later I am still hounded persecuted hunted and being penalised – and simply have no happiness nor joy of any kind at all – but only and simply great sadness unhappiness and heartbreak! I tried to go into writing but my Columns were killed off 2 years ago! I began to write books in Arab Management Road Safety Awareness Novel Books etc. And on my columns and subjects economic social etc. But was singularly and particularly marginalised – because I spoke The Truth and refused to push the dirt under the Carpet. Al Hamdu Lillah. To Allah SWT God Almighty we all return one day and with punishment on Earth .. in our Graves … and The Day of Judgement … where we are all responsible for our Actions Inaction and Inadvertently. May Allah SWT God Almighty Our Lord Guide us all to The Right Path and away from His Anger and Fury for all the mischief and troubles we cause others .. as if nothing will touch us. But be Afraid! …. Be Very Much Afraid! Allah God Almighty removes Barkah Kheir Rahmah Blessings wherever a person cries out in silence and in pain when he sees no fairness or justice he needs the most! I am a sick ailing person just came out from Coma State ICU but sometimes I wish I had died also in the Operation. This is too much to bear when those without W Wastah suffer the most. 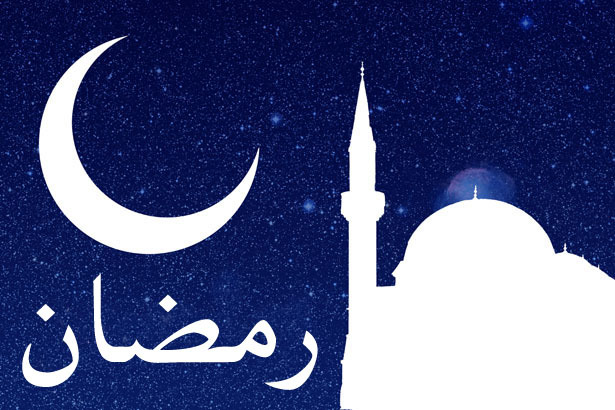 I wake up at 2 a.m. at night and pray only to My Allah SWT The Lord Almighty Al Hamdu Lillah…. 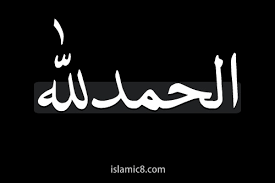 Transliterations: Hasbiy-Allaahu wa Ni’ma Al-Wakeel Hasbi-Allahu wa Ni’ma Al-Wakil Meaning: Allah is Sufficient for Me, and He is the Best Trustee Explanation: Hasbi-Allahu wa Ni’ma Al-Wakil, this expression, mentioned in the Qur’an (3: 173), is said when a Muslim is in difficulty or under a threat, to seek Divine help and support! There is no mercy compassion kindness caring feeling or sympathy in The Social Media! It is a place now of show offs preaching lecturing and looking down on others whilst hiding skeletons in the closets. Sad really..! Just to Remind on My Contribution to The Society! 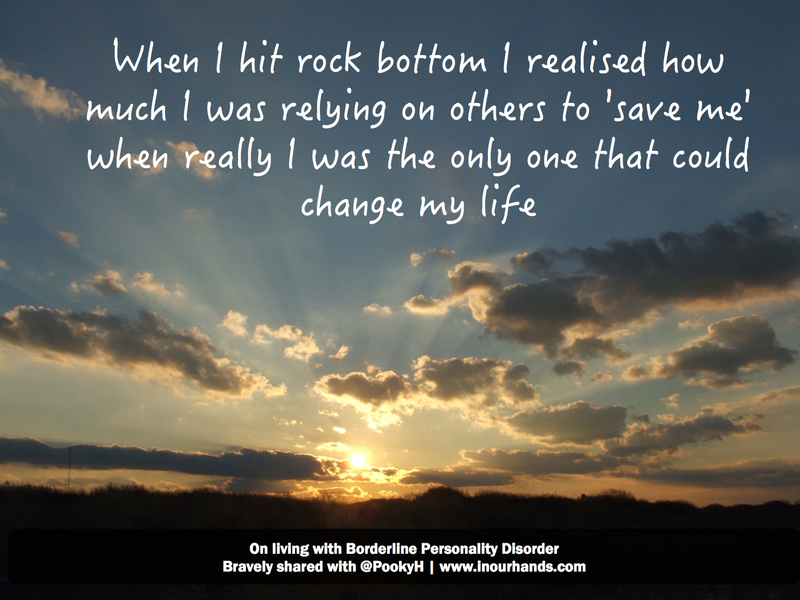 The Need to Recognise, Reciprocate and Acknowledge – and not do things opposite to me now! We are all accountable to Allah SWT God Lord Almighty by our actions – and inaction and inadvertently too! We need to be afraid with the due punishment on Earth – waiting for us in Our Graves – and on The Day of Reckoning! Download The Master File inside! PLEASE REMEMBER ME – AND REMEDY MY CONTRIBUTIONS! This was written 15 years ago. A child is born and allowed to watch films dramas just below 18 years X Rated! It is really surprising and rather dad this Author Writer Colimnist was just allowed to be marginalised and to disappear away! But then … What else is new? Eid Mubarak. 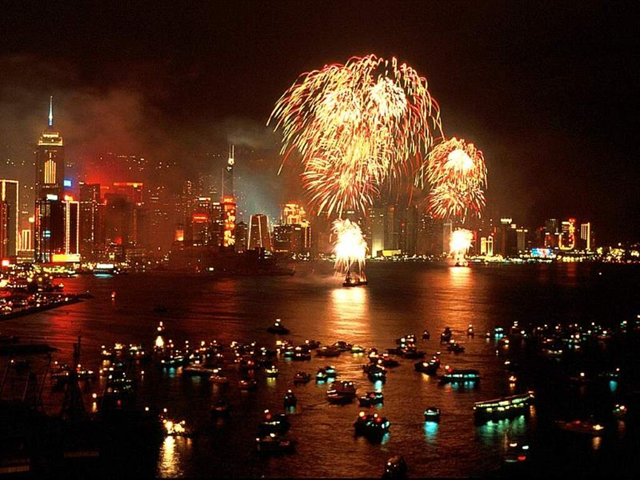 Enjoy yourselves with your families! My First Article in The Oman Daily Observer Column Between Us Only! March 2003! Very interesting – with what has happened so far – since then worldwide – and especially in GCC! More Dangerous and Troubled Waters Ahead! But now with all the bad things happening to me now I go level 3 … but one day people will remember what I tried hard to do. 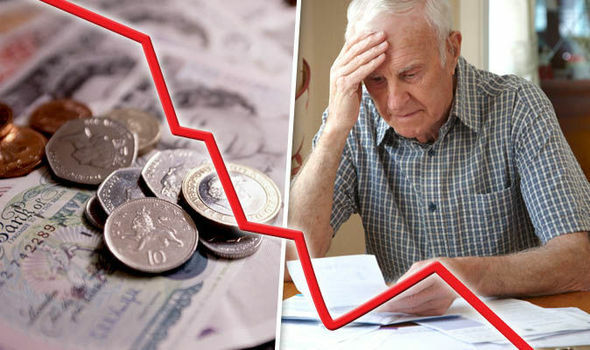 Very interesting programme which just confirms what I have been saying all along here – about Pensioners Retirees (plus Families Youth still with no job or unemployable still) bearing the worst in current economic status quo – and especially Retirees and Pensioners that are in Big Debt still from loans past even 15 years ago! UAE edges closer to Bankruptcy Law. Quote – Japan, the world’s third-largest economy , has one of the highest number of elderly citizens on the planet. And Japan is not the only country encouraging people to work beyond retirement age: Finland makes its population work until the age of 68 before they’re able to claim state pension; in Greece, people have to work until 67; and recently, young Germans were told they might have to work until they are 69 years old. 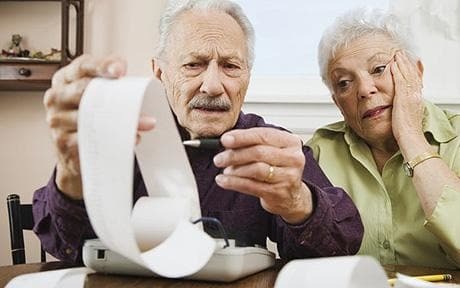 For the past decade, governments across the developing world have been cutting the pension bill by increasing the retirement age; that’s because people are living longer and birth rates are declining. My New Books Stocks Have Arrived Now! My New Books Stocks Have Arrived! Available at Family Bookshops and WHSmith Book Stores in Oman. 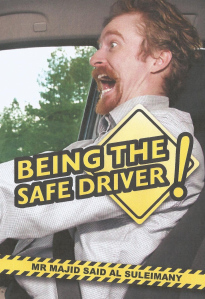 www.createspace.com/4097374 – Being The Safe Driver! 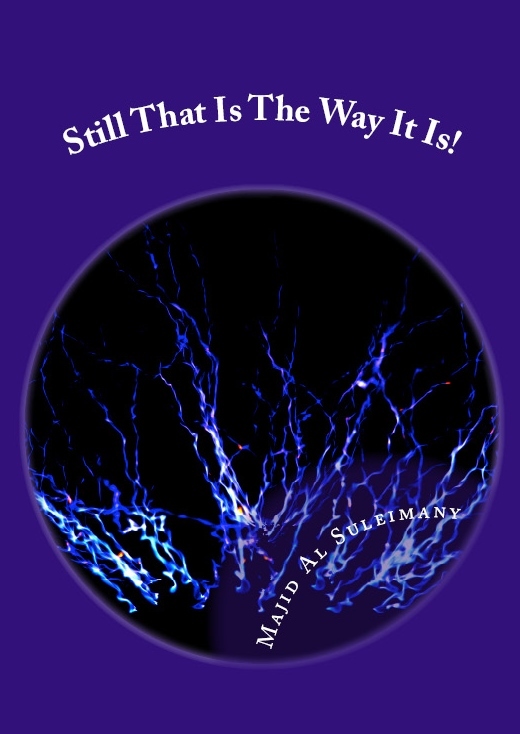 www.createspace.com/4153263 – Between Us Only! – The Sequel – 3! www.createspace.com/4153269 – Between Us Only! Short Takes – 2! Please Do Support Local Omani Authors that also write in English because we need your support – and for the sake of our country = and for Literary, Art and our future, legacy and destiny!